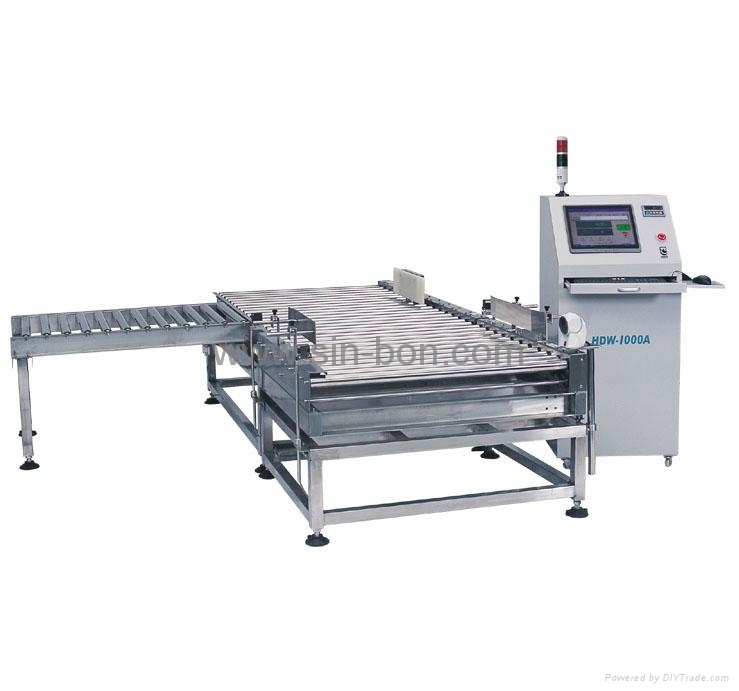 The automatic weighing system is consisted of the Infeed conveyor, the barcode recognizing machine, the automatic check weigher, the output conveyor, the reject device and the automatic inkjet printer. If the system is equipped with the metal detector, it can detect metals and check product weight at the same time. The automatic weighing system is used to check weight from the outer carton box of finished products in order to prevent the error code, the empty packing carton boxes, and other objects left in the carton boxes before entering the markets. Especially, it controls the personal error in the production line. The barcode recognizing machine recognizes the product barcode on the carton boxes and tells the automatic check weigher the standard weight of this product based on current barcode. 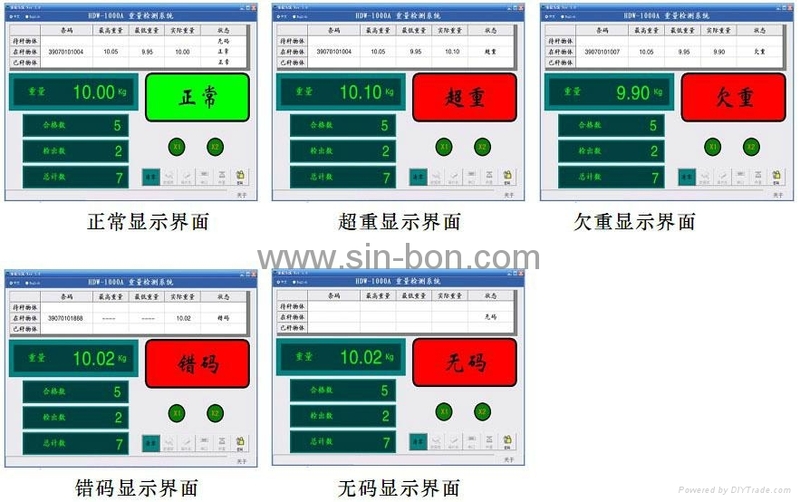 In the dynamic status, the automatic weighing system can find the neglected loading objects, the misloading objects and other objects because the check weigher accuracy is ±50g. 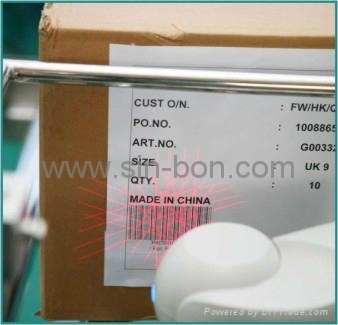 When checking the new products ,firstly let new product pass through the barcode recognizing machine, the barcode recognizing machine gathers the data and tells the check weigher product barcode, then the system will check the product for several times and set the standard weight of the checking product. The system can store more than ten thousand product parameters. 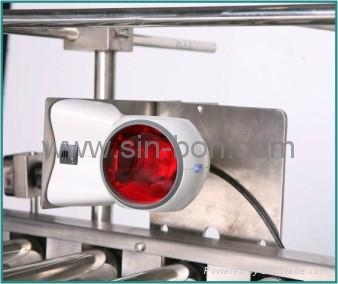 When checking the product is underweight or overweight, the reject device will reject product automatically to control the defective product. When the system checked product weight is qualified, the inkjet printer will print the qualified weight, qualified mark and product date on the qualified products. The alarm lamp is consisted of red (overweight, underweight, error code, codeless), green (qualified) and buzzer. It makes the operator recognize the qualified objects and the status of check weigher system. 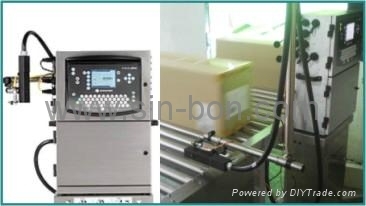 The automatic weighing system is connected to the scanning system and stores the data of shipment automatically. It is very convenient to print and look up in the computer.